Do you know why chiropractic care for kids is important? Many children experience their first injuries during birth, as there is much strain placed on the head and spine during delivery. Parents surveyed by the International Chiropractic Pediatric Association report behavioral improvement, improved sleep, and stronger immune systems. Parents also reported successful chiropractic treatment of children’s health issues such as earaches, upper respiratory infections, muscle pain, neck pain, and accident trauma. Why Chiropractic for pediatrics? 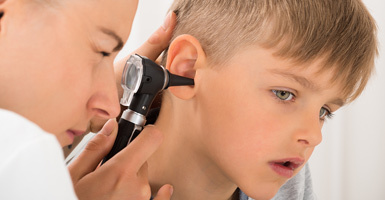 Children are more prone to ear infections due to their immature Eustachian tube (part of the middle ear). This allows bacteria to more easily access the middle ear. During birth, the neck can become misaligned, disrupting nerve function, which can affect the eustachian tube. Misalignments left untreated can eventually disrupt the body’s ability to function properly. The purpose of chiropractic kids adjustments are to help to restore the function of the nervous system so the body can heal itself without the use of drugs or surgery. In Line Chiropractic and Wellness Center is the right practice to choose if your baby is experiencing colic. Chiropractic colic care is a great to help soothe your child and ease them of colic. If you suspect your child has colic and you want to take a more natural approach, contact us today to set up an appointment. Dr. Tucei will address the issue and not just treat your infant’s symptoms. Chiropractic colic care for babies has been proven to work and is very successful. Adjustments are gentle in efforts to restore the baby's nervous system back to normal. This method has helped so many babies with colic to experience relief. Chiropractic care for kids doesn’t claim to cure or bedwetting. However, they do know that there is a good chance that chiropractic can help children at least reduce the frequency of the issue, if the bedwetting is related to a spinal misalignment. If your child is exhibiting signs of nerve interference, a chiropractor can help. Chiropractors locate and reduce nerve interferences caused by spinal vertebrae that are misaligned and affecting nearby nerves. Your child might not complain of soreness, sometimes-subtle spinal misalignments are present without pain. Chiropractic care for infants is something you should consider if you are concerned your child might have torticollis. Torticollis is when an infant is born with its head turned to one side or has difficulty moving it to the other sides. It typically happens as a result of birth trauma, though it may also begin as a result of positioning in utero. There is so much intervention involved in childbirth that can cause damage to the upper neck. Muscles that work to hold the head go into a severe spasm, which then causes them to present a tilted head posture. The main idea behind chiropractic care is that it restores optimal function of the nerve system. 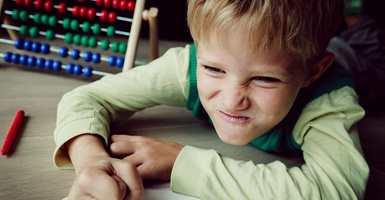 ADHD is a known central nervous system disorder. When there is stress and tension in the nervous system, behavior problems may arise. While changing diet, supplementing, and removing environmental irritants are very important and effective parts, you will only get limited results. You must determine if there is stress and tension in the nervous system. Gentle spinal adjustments and therapies are typically performed while under chiropractic care, and many patients and parents of patients have reported improvements in their children’s diagnosed ADD/ ADHD symptoms and behaviors. Symptoms of digestive distress usually are indicators that there is a malfunction somewhere within the system. Believe it or not, your digestive system is entirely linked to your nervous system, and your nervous system has complete control over various aspects of your digestive function. Dr. Amber Baughn Tucei can safely and gently correct misalignments of the spine through chiropractic adjustments. This involves gently guiding your vertebrae back into their proper places. This will take the strain off of the nervous system and allow it to function at its optimum level once more, thus, helping your child's digestive issues subside. At In Line Chiropractic and Wellness Center, we want to make the community aware of the benefits of chiropractic care for our littlest citizens. We want to help you raise happy, healthy families, drug-free. Please give us a call for your chiropractic care for infants and children. We look forward to hearing from you.